Estudios del Bosque—studies of the forest was an exhibition of my photographs, a small selection of the thousands of slides taken during fieldwork in Central and South America. 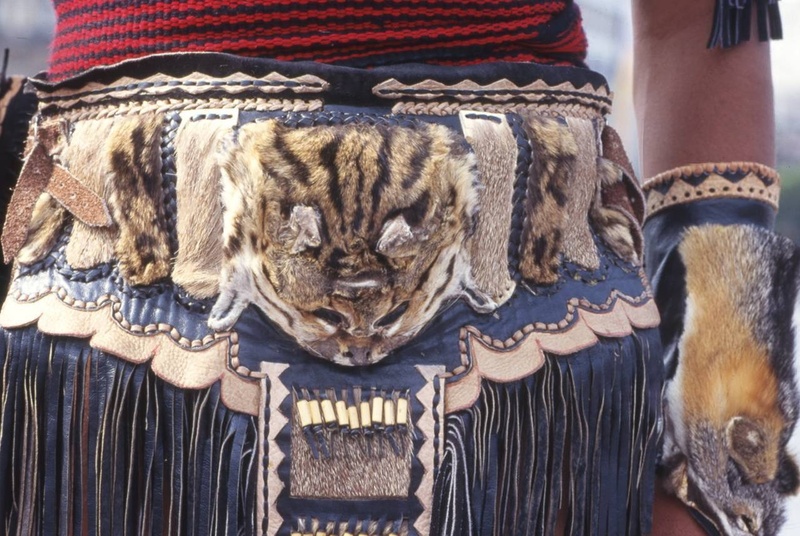 They represent a series of nature studies taken in Costa Rica, Panama, Mexico and Guyana—a visual account of some of the scenes witnessed during the course of ecological research. Old guard. A stand of ancient oaks Quercus sp. 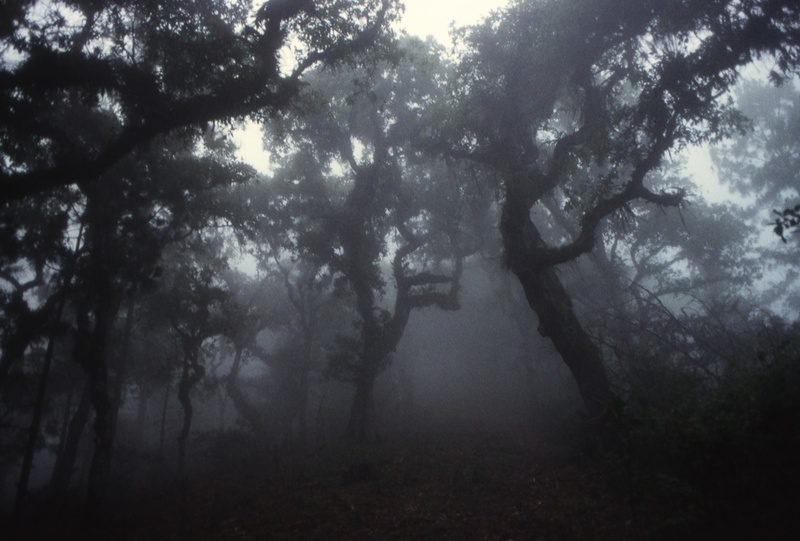 looms in the mist atop the Sierra de Miahuatlan, Oaxaca, Mexico. Festooned with bromeliads, orchids and other epiphytes, these charismatic trees exhibit the slow growth rates characteristic of cloud forests. With most water coming directly from the air, plants grow on any exposed surface—including powerlines! Nature—green in leaf and tendril. This study of a passion vine Passiflora sp. 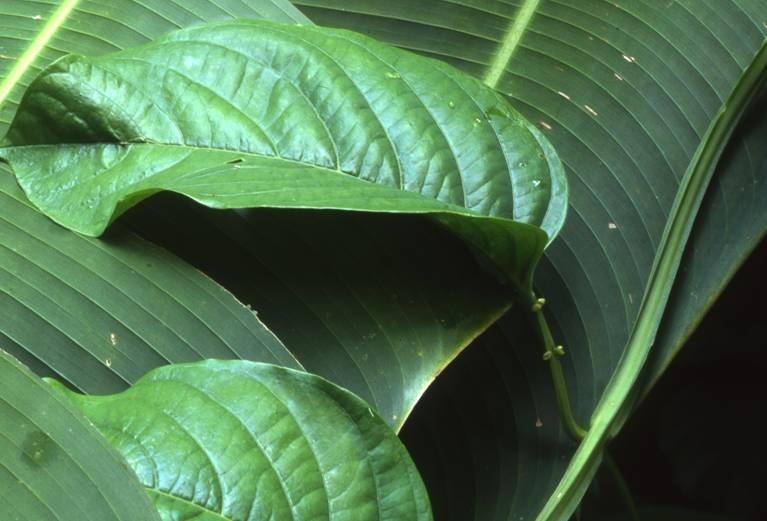 amid a clump of heliconias in Corcovado National Park reveals a hidden side of plants. Their nutritious leaves are highly favoured by caterpillars, yet butterflies avoid laying eggs on already-occupied plants. Some plants grow small egg-like structures on leaf stems, fooling butterflies into laying elsewhere. Canopy vigil. 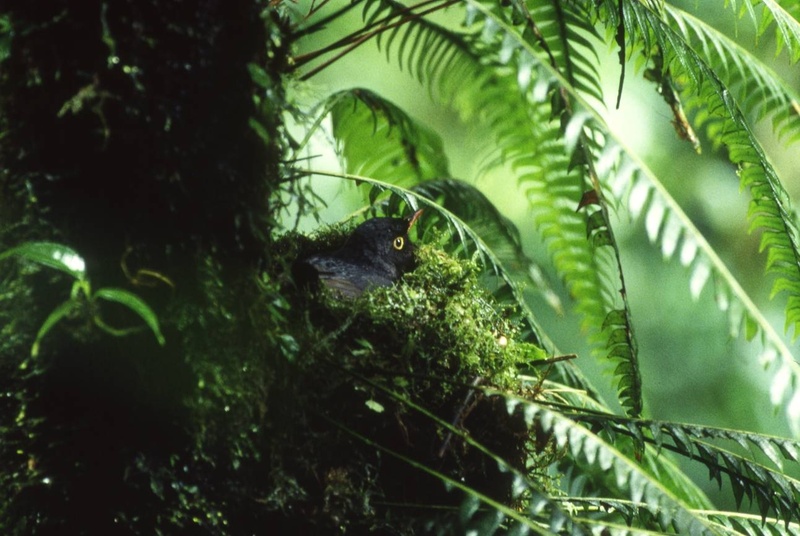 Deep in the cloud forest of Monteverde, Costa Rica, high in the canopy concealed by ferns, a slaty-backed nightingale thrush Catharus fuscater broods her eggs in a nest built entirely of moss. Renowned for their haunting silvery call, these shy birds rarely venture into the open. Multicolored monochrome. 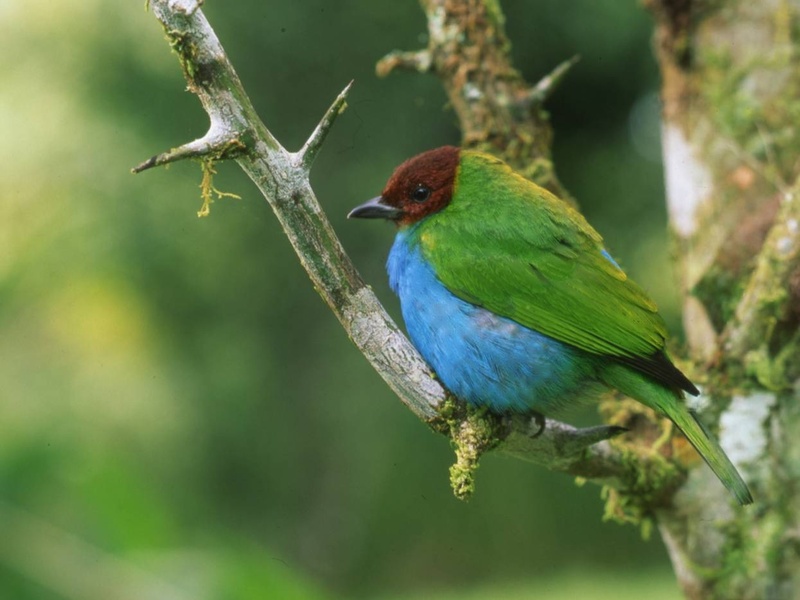 Some of the most colourful neotropical birds are the trogons—fruit-eating birds of the forest interior. The striking greens, purples and blues of their plumage are offset by bold black and white tail stripes, exemplified by the violaceous trogon Trogon violaceus. Eyewitness. Peering from a bromeliad, a red-eyed tree frog Agalychnis callidryas surveys its domain—foothill forests near Las Cruces, Costa Rica. 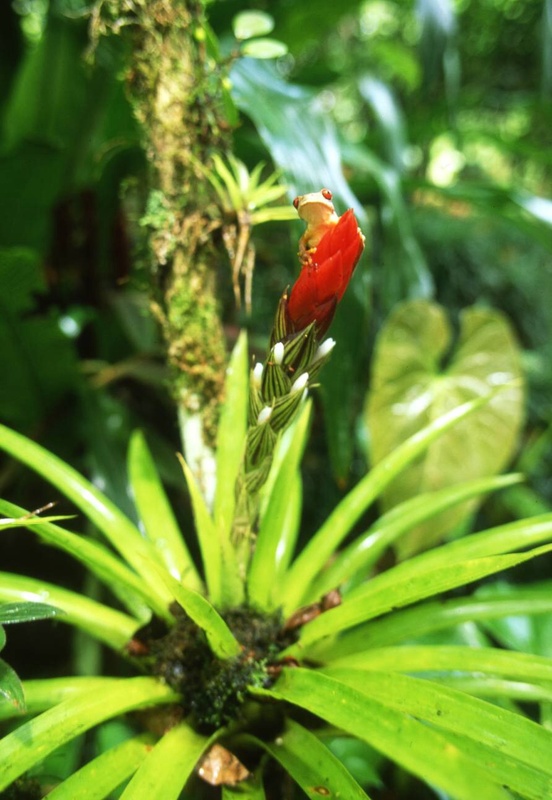 Containing a reservoir of water, bromeliads represent small ponds within otherwise dry forest canopies—valuable resources for a diverse array of animals. Portrait of a bill. A channel-billed toucan Ramphastos vitellinus in Iwokrama Forest, Guyana. 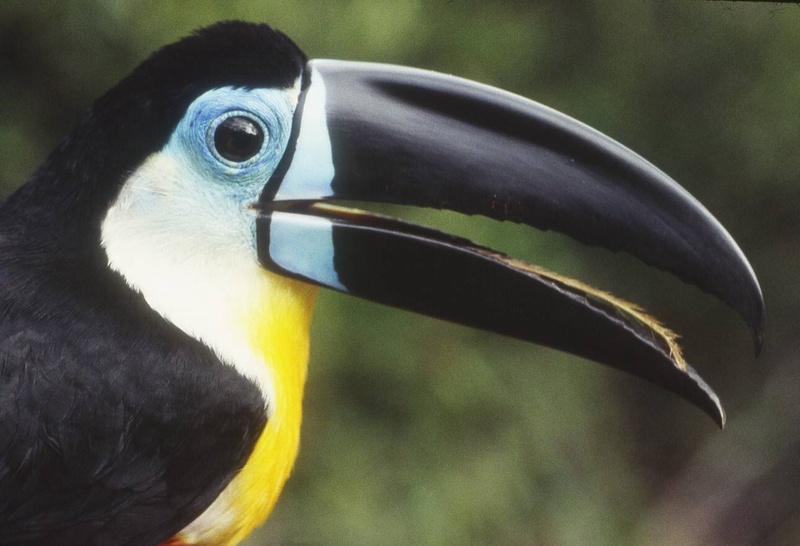 One of six toucans living in this remote northern Amazonian reserve, it displays the large beak that characterizes the family and the rarely-seen brush tongue used to extract nectar from flowers. Lightplay. Waterfalls represent a bright and sparkling counterpoint to the muted shadows of the forest interior, harbouring their own suite of plants and animals. This cascade, photographed on private land downslope from Monteverde in Costa Rica is home to a colony of torrent tyrannulets Serpophaga cinerea, a white-water specialist flycatcher. Symmetry in perspective. 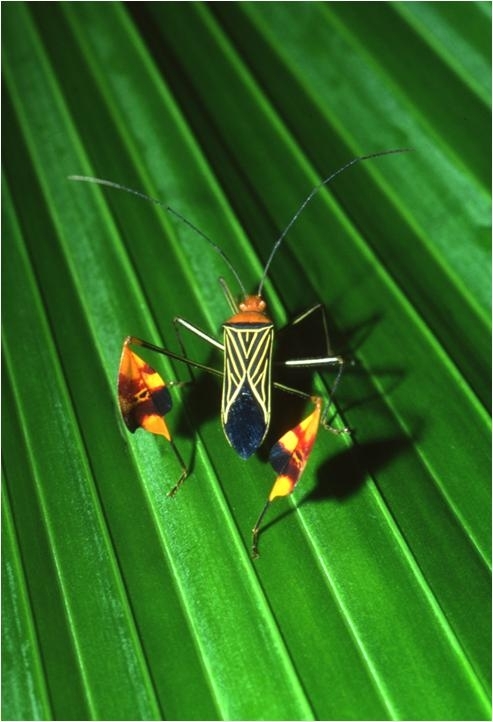 In a bid to foil predators, this leaf-footed bug (Coreidae) has enlarged, brightly-coloured back legs, making it difficult for a predator to know where to strike. The ploy seems to be successful—this was the only one I found in three months that had both legs intact. Lizard’s eye view. 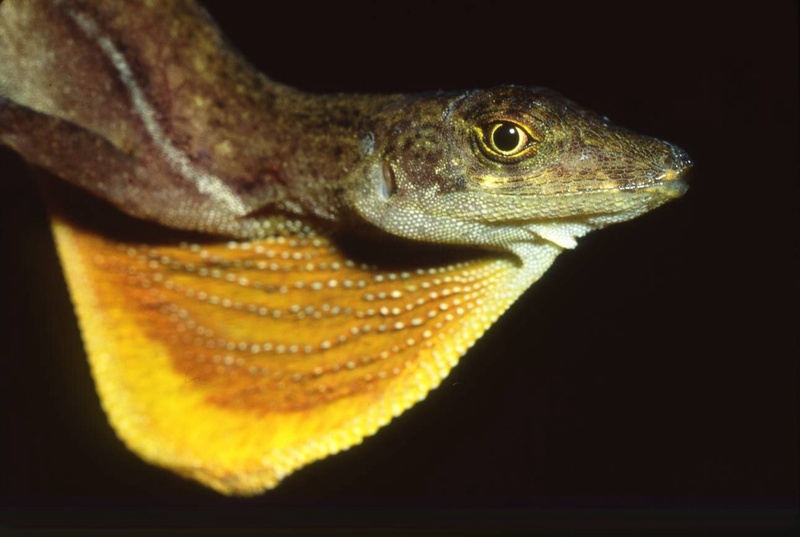 Anoles Anolis sp. 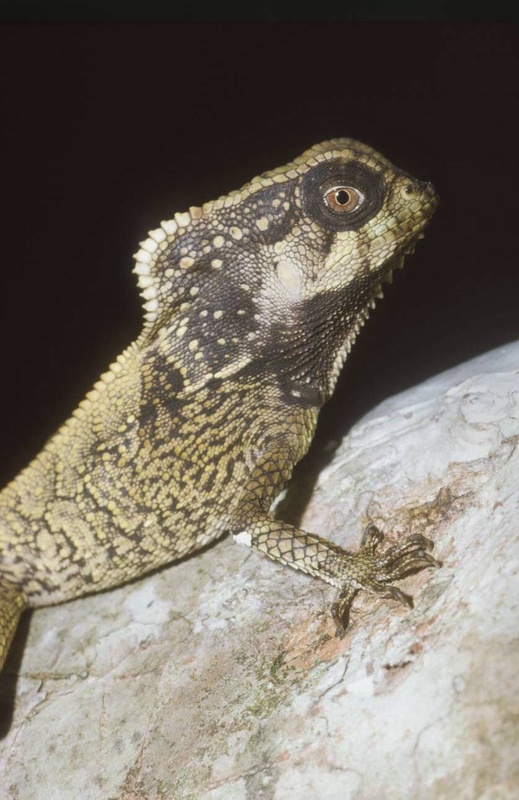 are characteristic of lowland rainforests—small drab-coloured lizards that hop like frogs throughout the forest understorey and clearings. A closer examination reveals a flash of colour as males extend brightly-coloured dewlaps, defending their territories and vying for females. La Selva Biological Research Station, Costa Rica. Ambush. 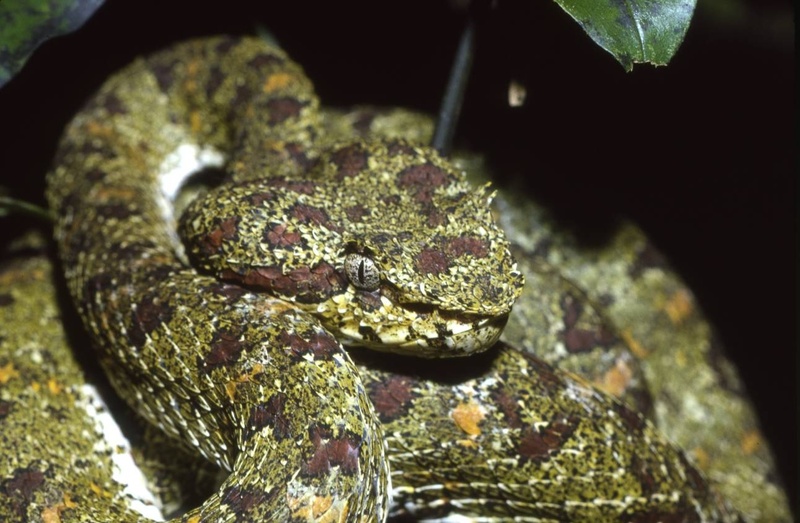 An eyelash viper Bothriechis schlegelii ready to strike. These small pitvipers are masters of camouflage, their lichenouscolouration making them difficult to distinguish in the dim understorey. This snake materialised on a branch I was holding to steady my balance while crossing a stream in Corcovado National Park. Masquerade. While studying antbirds feeding on the forest floor of Cerro de la Muerte in the highlands of Costa Rica, I noticed a leaf moving strangely. 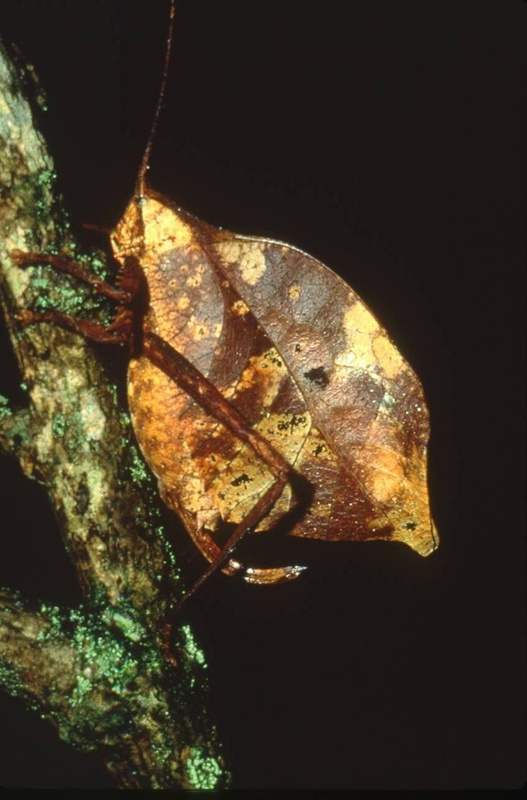 Closer inspection revealed the leaf was actually a katydid Orophus spp., searching for some loose soil to lay her eggs. Sentinel of the understorey. Helmeted basilisks, Corytophanes cristatus are slow-moving iguanas that rely on camouflage to avoid detection, freezing if disturbed. I spotted this lizard on a fallen tree branch within La Selva Biological Research Station, Costa Rica, feeding on insects fleeing an oncoming swarm of army ants. Jewel of the forest. A tiny granular poison arrow frog Dendrobates granuliferus crawls purposefully amid litter on the forest floor, near Golfito, Costa Rica, framed by a curling leaf. 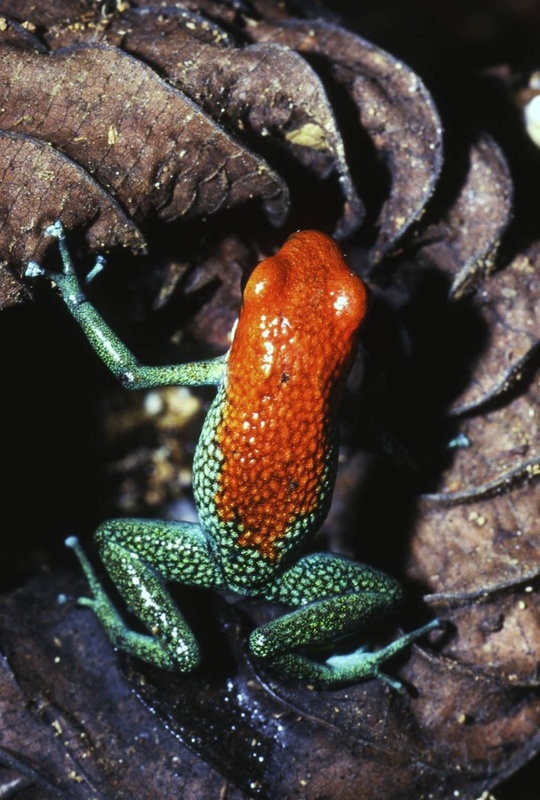 Surprisingly bold, these poisonous frogs call near waterfalls, climbing high into the canopy to lay their eggs in tree-top bromeliads. Mosaic mirage. While photographing a large blue butterfly resting during the heat of the day, it suddenly flipped upside-down, revealing a startling pair of “eyes”. 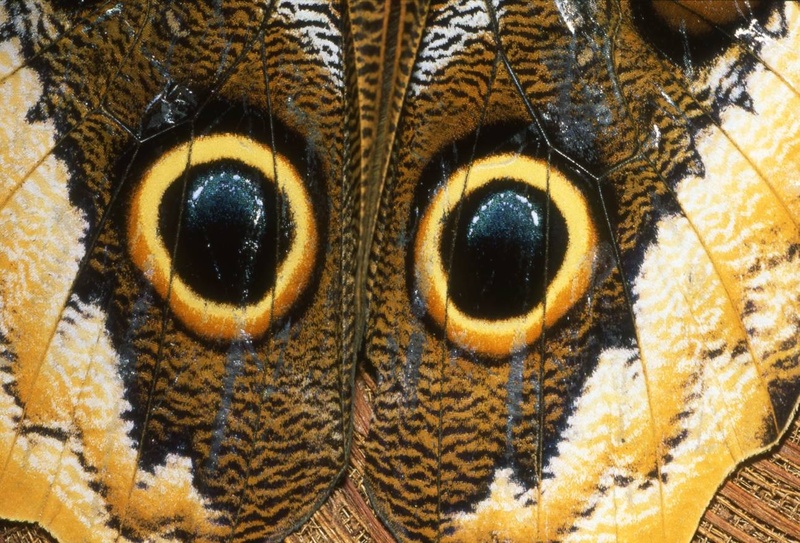 When the ruse did not deter me, the owl butterfly, Caligo sp. 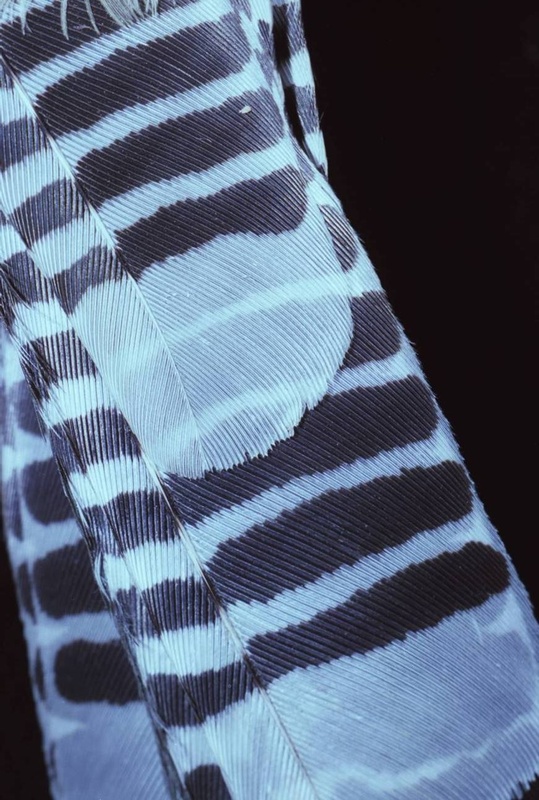 flitted away on rapid wingbeats, melting back into the shadows. Verdant harmony. 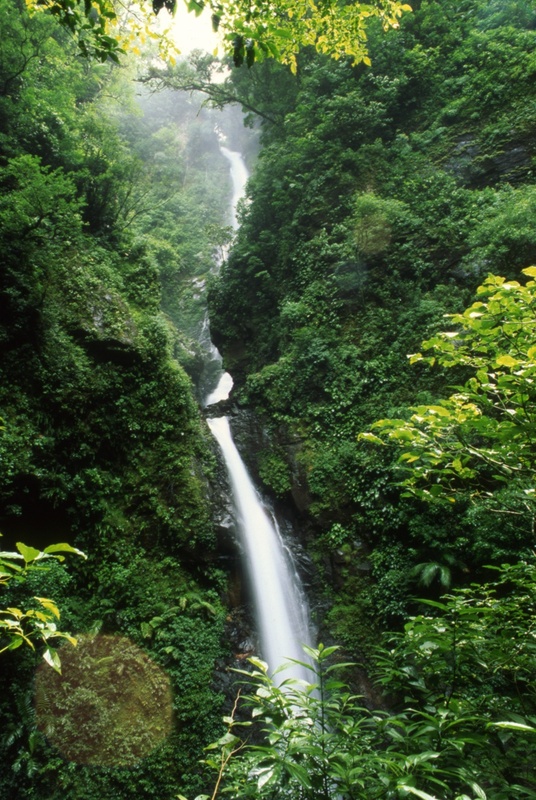 Rainforests are awash with green. Looking past the lush foliage and ubiquitous insects, many forest-interior birds are also green, blending with their surroundings. 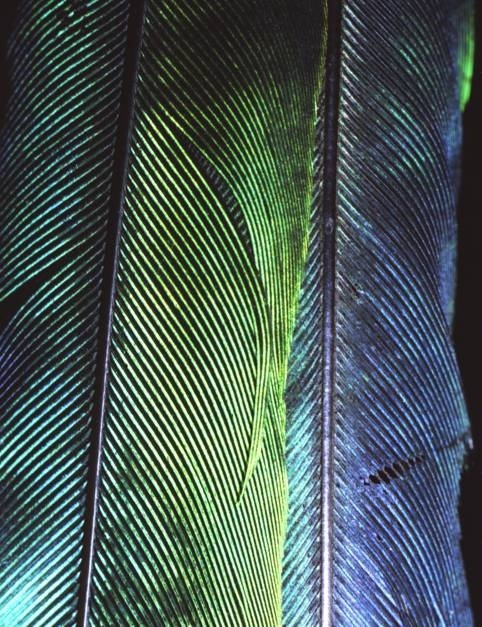 In this detail of a great jacamar Jacamerops aurea, the subtle interplay of colour and light reflects both animal and habitat—a study in green. Sun-drenched texture. 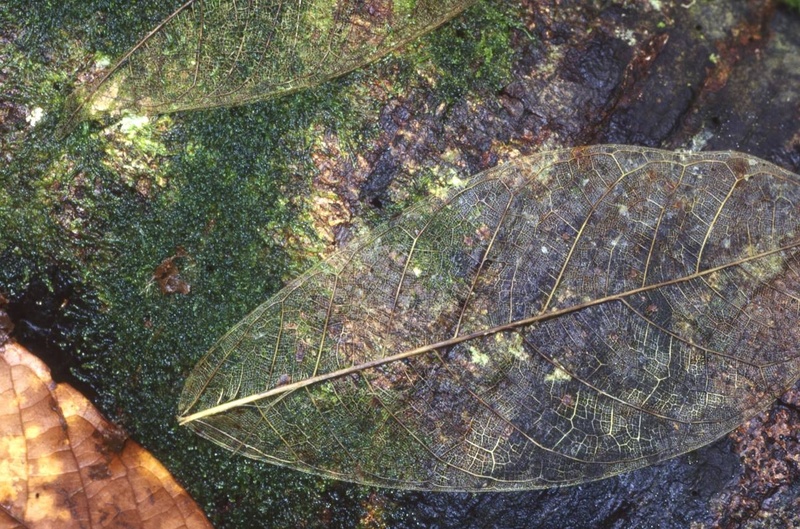 The dark, humid interior of rainforests is punctuated by small sun-flecks and large tree-fall gaps, awash with sunlight. 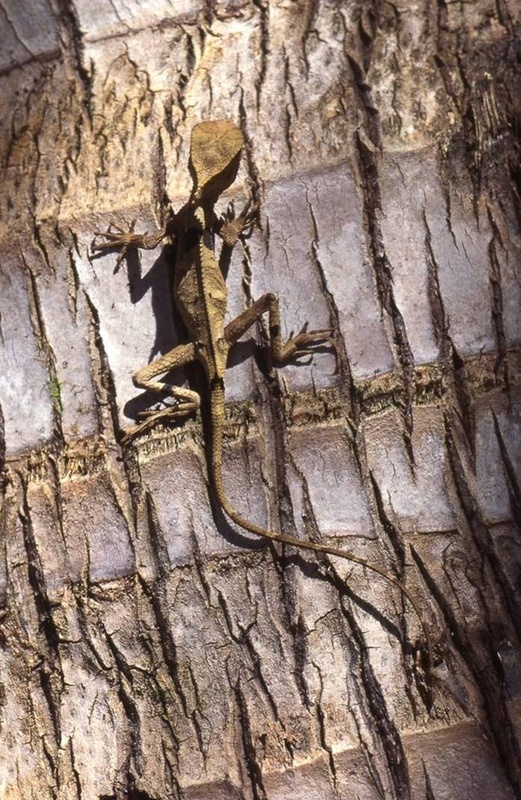 This young helmeted basilisk Corytophanes cristatus was photographed basking on the trunk of large palm near Golfito, Costa Rica, the textured skin contrasting with the deeply fissured bark. Darkness descends. 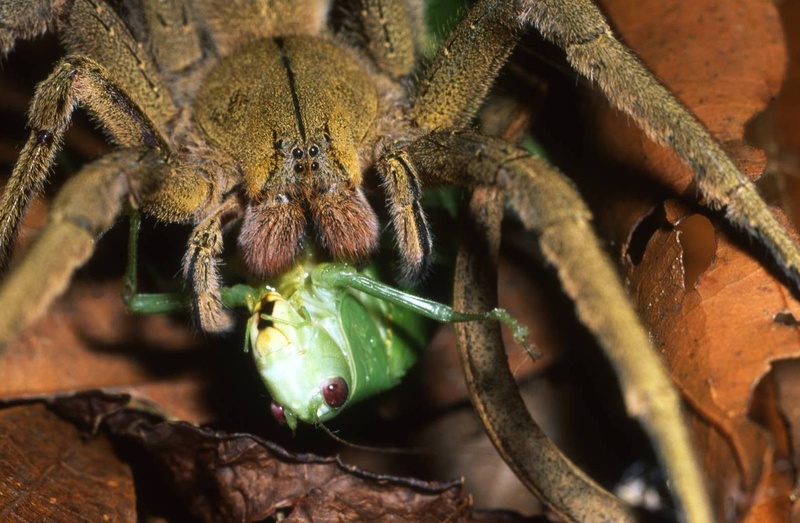 Death came quickly for this katydid, devoured by a large wandering spider Phoneutria fera on the forest floor. One of the world’s most venomous spiders, their venom is matched by their speed and aggression, I glimpsed the twinkling reflections from its front-facing eyes while walking through the forest one night.